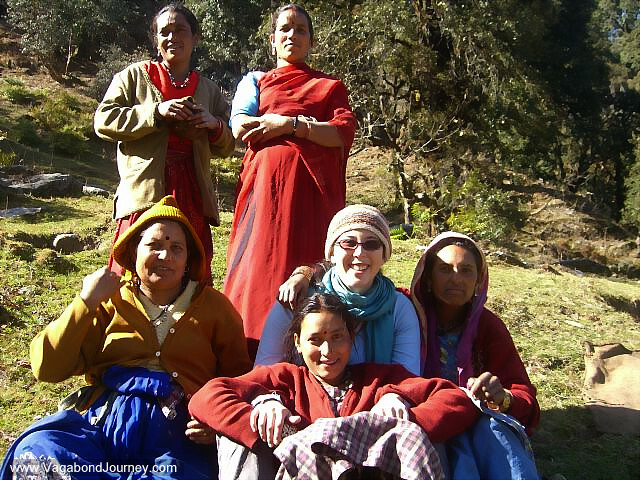 Indian women with American study abroad student in the foothills of the Himalayas, India. 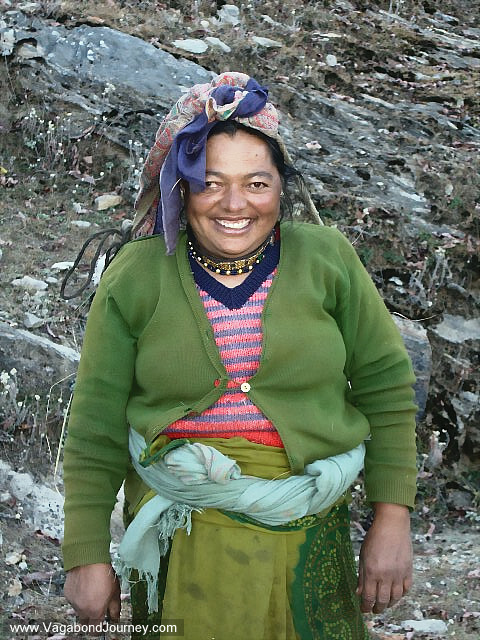 Indian women in the forest of Uttar Pradesh. 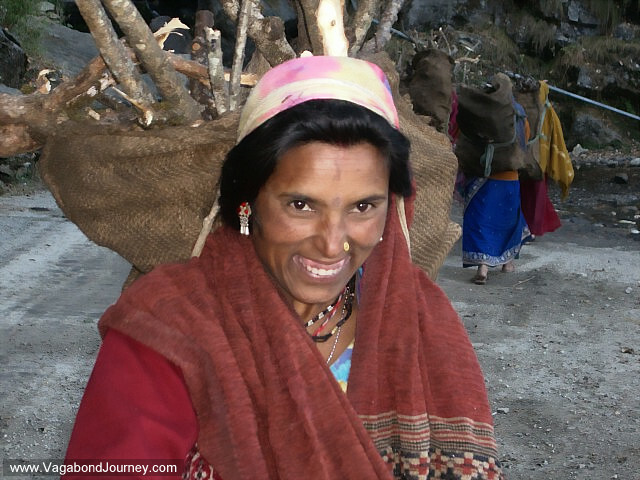 Indian woman returning from gathering firewood in the forests of the hills of Munsyari. 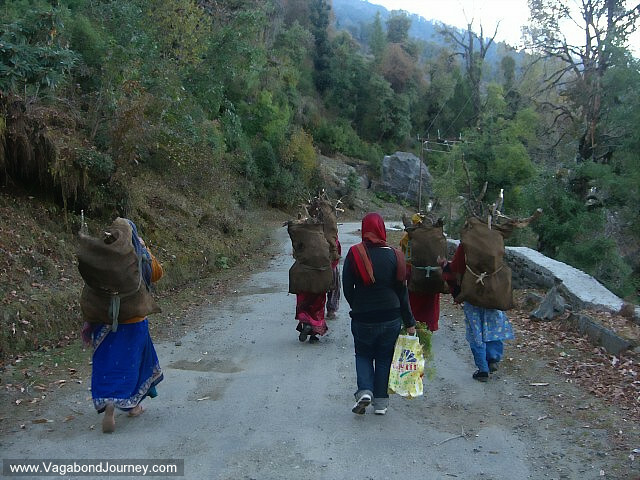 Indian women carrying firewood on their backs down the mountain of Munsyari. 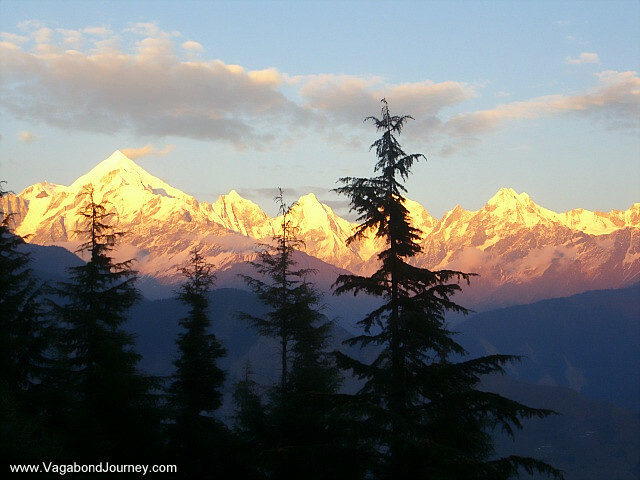 Trees in front of the Himalayan Mountains. 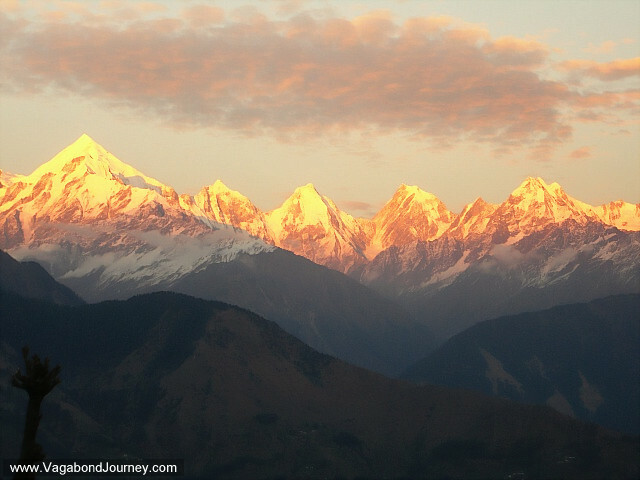 Sunset on the Himalayas, Munsyari, India. 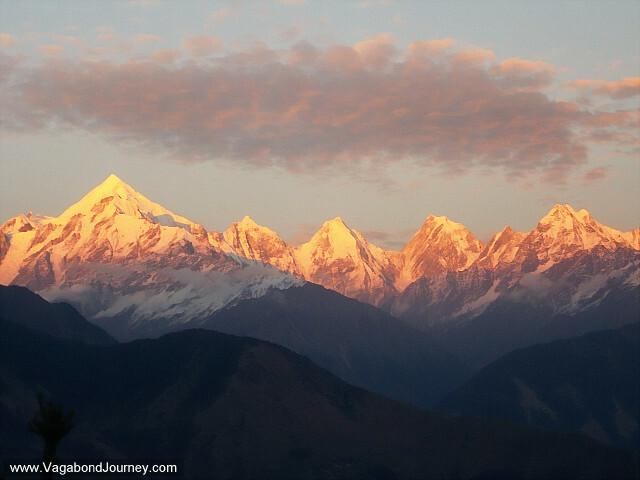 Snow capped peaks of the Himalayas as seen from Munsyari. 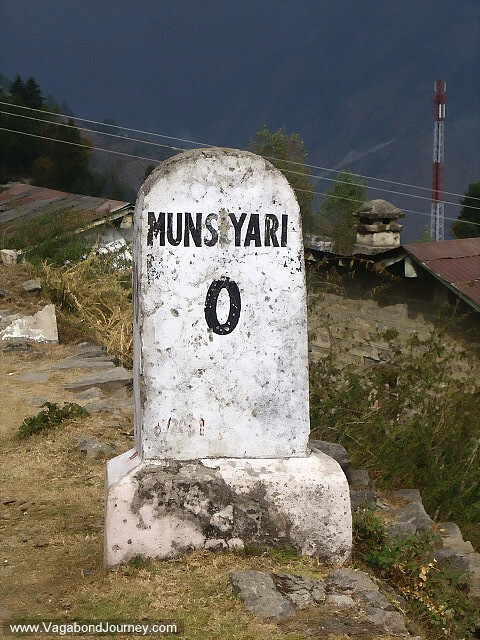 Sign welcoming visitors to Munsyari.